If you want to ride a motorcycle, the best thing you can do is learn how to ride it properly and to gear up the right way. Looking “cool”, while very important, should be somewhat lower on the list. While Scorpion can’t really help too much with the first one, they can certainly offer the safety part… and bring in the fashion too! With the Scorpion EXO-R710 Crystal Helmet, you will get a moderately priced option that makes use of some seriously great features. From the AirFit pump system that offers customizable fitment, to the 3 shell sizes designed to minimize drag and buffeting while at speed, Scorpion really put in the work to this ECE 22.05/DOT certified helmet. Along with the features, the R710 Crystal Helmet comes with a hyperactive abundance of jagged lines and hard edges that will keep onlookers digging your style wherever you go. 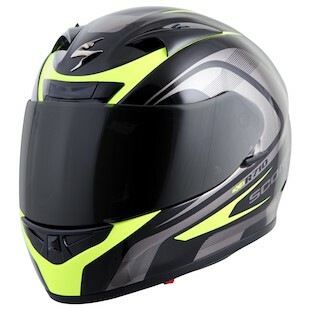 The Scorpion EXO-R710 Focus Helmet is another graphical option for riders looking to stand out a little bit in the sea of solid-color lids. Coming with all of the EXO-R710 features, the Focus graphic is a subtle choice that does not scream too loudly for attention, however, it does have enough visual vibrancy to make its own way. While information on this particular helmet is still forthcoming, Scorpion is sure to not disappoint. Gearing up the right way is no small task. With a plethora of different options out there and such a wide assortment of materials, specifications, and prices, it can be hard to get started. 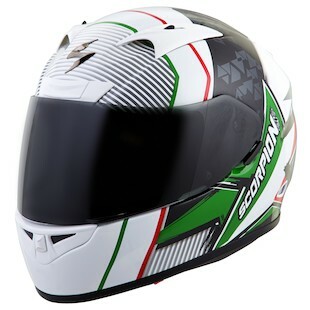 If you are a rider looking for an entry-priced helmet that still has some cool graphics, check out the new Scorpion EXO R710 options.